Dora Jean was born on March 16, 1947 in Shawnee, Oklahoma to Leo E. and Viola C. Montgomery. She passed away in her Norman home on January 11, 2019. After attending high school in Shawnee, Dora married Billy Mize in 1964 and they made their home in Norman where they raised their daughter, Tracy. In 1986, Dora returned to Shawnee. She loved working in her garden and was proudly awarded “Yard of the Month” in 1990. As the youngest of five sisters, Dora shared their passion for travel along with their mother, Viola. Over the years the ladies enjoyed traveling far and wide, often camping, fishing, and rock-hounding along the way. Many of the rocks collected on their adventures were proudly displayed around Dora’s flower beds. In 1992, Dora began working at Jefferson Elementary School. She started as a Teacher’s Assistant and ultimately had her own classroom for Reality Therapy. After 24 years she retired in 2016, and soon thereafter moved back to Norman. She leaves behind a legacy of love in the form of her family and close friends. Tanner Howe and wife Rebecca of Goldsby, Tyler Howe and wife Sheena of Dallas, TX, and Turner Howe of Colorado Springs, CO; three sisters: Merle Hatley, Rita Fiscus, Ann Hodam and husband Floyd, all of Norman; former husband Billy Mize of Norman; and many nieces and nephews in Oklahoma and across the country. Dora was preceded in death by her parents and sister, Louise Hiner. A celebration of Dora’s life is scheduled for 11:00am on Thursday, January 11th at Immanuel Baptist Church (1777 E. Robinson St, Norman). 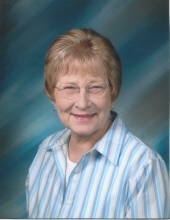 To plant a tree in memory of Dora Montgomery Mize, please visit our Tribute Store. "Email Address" would like to share the life celebration of Dora Montgomery Mize. Click on the "link" to go to share a favorite memory or leave a condolence message for the family.